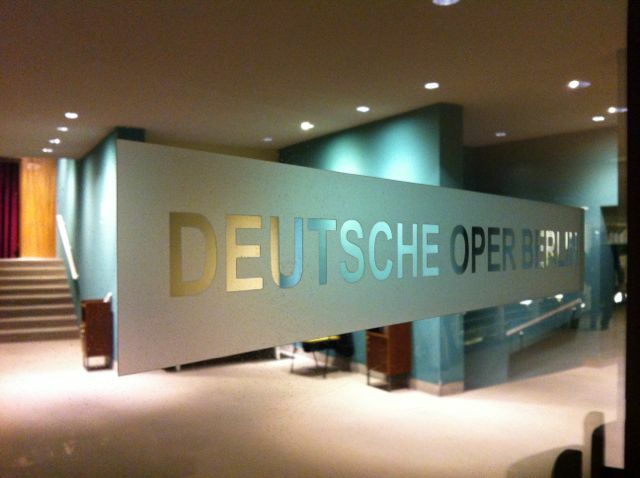 The Deutsche Oper Berlin logo. 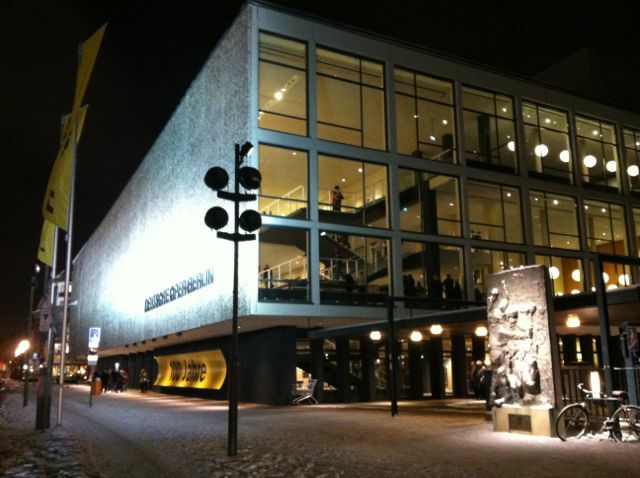 Click on it to get to the Deutsche Oper’s very cool website. Nina, the behind glass artist, invited me over for dinner to her amazing Charlottenburg apartment on December 11. I am just realizing how lucky I am to have met a true artist and long-time Berlin resident here and not just the expat party crowd. Nina has a perspective of this city that is deep and wide, and she is willing to share that with me, which is a gift of insight that I would not otherwise have. I did not even ask to take photos of her fin-de-siècle, art-filled place that she has lovingly and sacrificially restored over the years, with two ornate balconies facing two different courtyards, art-nouveau ceiling stucco and ornaments, turn-of-the-century kitchen stove, and hundreds of other details, out of respect for her privacy. She has put in the work, and she has managed to own that place by her own sweat and blood. I had to eat and run, because I was due at the Deutsche Oper, where I’d booked a great seat to see La Traviata, which happens to be my favourite opera. When I saw it was playing in Berlin while I’m here, I just had to buy a ticket. Speaking of the Berlin party-vortex, here is a link to a fascinating New York Times article on an Australian would-be band who came to Berlin to produce an album but ended up getting sucked into its expat party scene. And the ensuing discussion about party-artists vs. hard-working artists is interesting as well. Nina is definitely the latter. And how little do these partying kids know about someone like Nina? There is a huge difference between wanting to be an artist vs. actually being one. 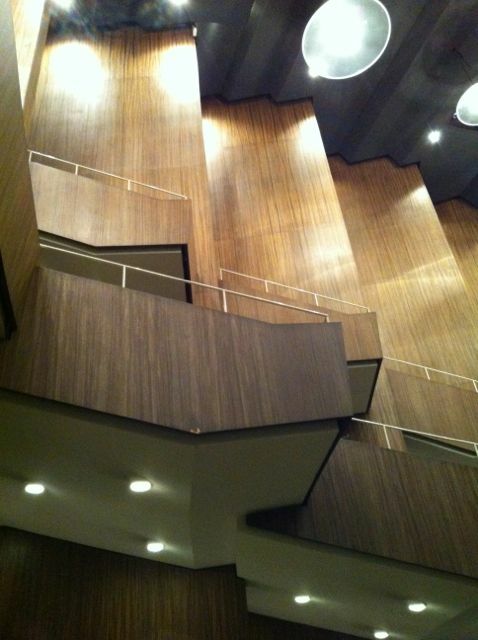 Deutsche Oper Berlin, a great piece of 1960s architecture. 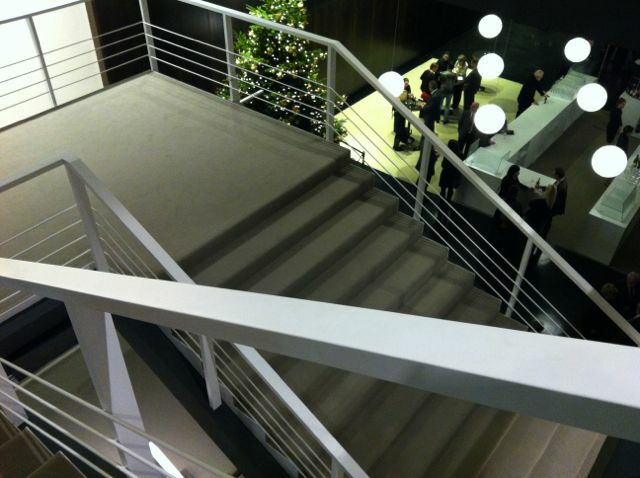 The inside is very much à la Mad Men. 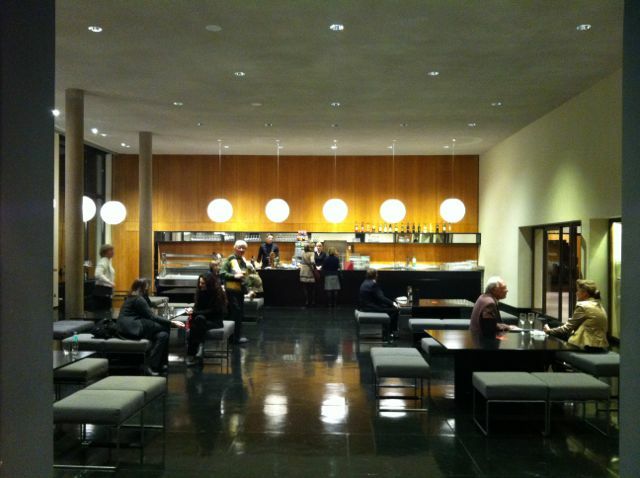 Inside the Deutsche Oper Berlin. 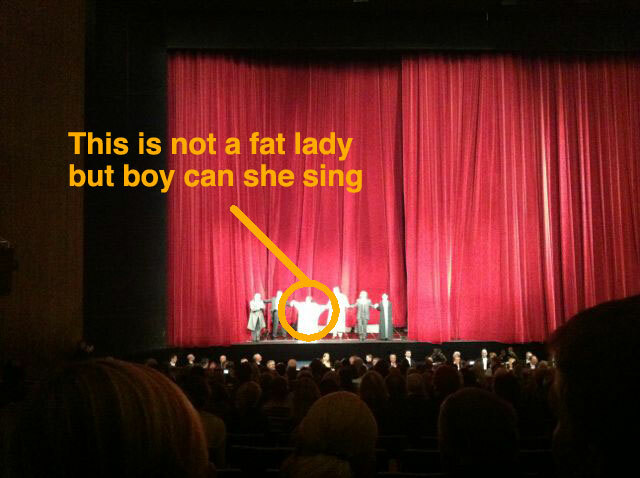 La Traviata ends to several ovations at the Deutsche Oper. The 3 main singers were all amazing: Leo Nucci (one of the best baritones in the world, as I am reading) was Giorgio Germont, Elena Mosuc was Violetta, und Ivan Magri played Alfredo Germont. The set design was black in black and rather flat-looking, it didn’t do anything for me, but thankfully the singing was amazing. 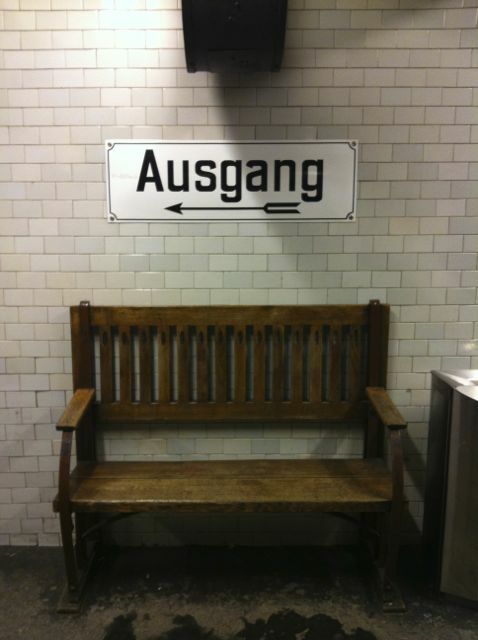 A bench in a Berlin U-Bahn station. It looks like it’s been there for 100 years, including the sign. I plan to post more on the Berlin U-Bahn typography later.